"Cloud-directed IT spending now constitutes more than 20 percent of the total IT budget for organizations using cloud,” said Sid Nag, research director at Gartner, in a statement. “Many of these organizations are now using cloud to support production environments and business-critical operations." In line with this trend, the industry will experience another burst in cloud solutions and cloud spending. Bain & Company predicts that the subscription-based software-as-a-service market will grow 18 percent by 2020, and the infrastructure-as-a-service market is expected to reach $72.4 billion worldwide within the next two years, Forbes reports. Although cloud computing offers efficiency and lower operating costs, some companies still worry about the security implications of having important information stored on a network of remote servers via the internet. Cloud proponents will argue that on-premise storage solutions are just as susceptible — or, in some cases, even more susceptible — to hacking. NTT Security reports that recent data breaches have largely involved local or on-premise systems. 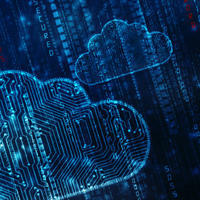 Jeffrey Bannister, executive vice president of global enterprise services for NTT America, suggests that this is because cloud developers are pouring money and attention into cloud security, making these solutions even more secure than on-premise systems. “After all, security is core to [the cloud’s] business case,” he writes on CIO .